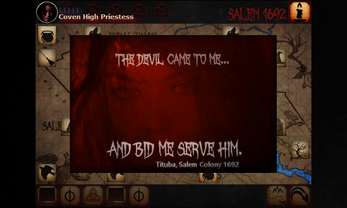 "The Devil came to me and bid me serve him," Tituba testified in March of 1692. The colonists watched spellbound as she spoke of strange events and a white-haired man who bade her to sign The Devil's book. There were more hidden witches in Salem Colony she warned, and they yearned to destroy the Puritans. Finding witches became a crusade—not only for Salem but throughout all of Massachusetts. Before long the crusade turned into a hysteria, and the witch-hunters ultimately proved to be far more deadly than their prey. 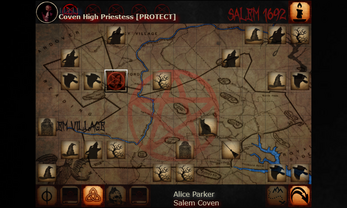 But... What if Salem Colony really did have an active Coven of Witches? Salem 1692 is a casual turn based strategy game with an alternate slant on the Witch Hysteria that gripped Salem Colony in New England 1692. 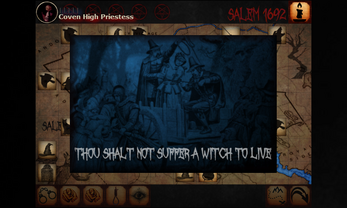 Play the role of Salem Coven's High Priestess and try to unite five colonists as elements of the Sacred Circle and solidify power before the Witch Hunter condemns or jails them all. 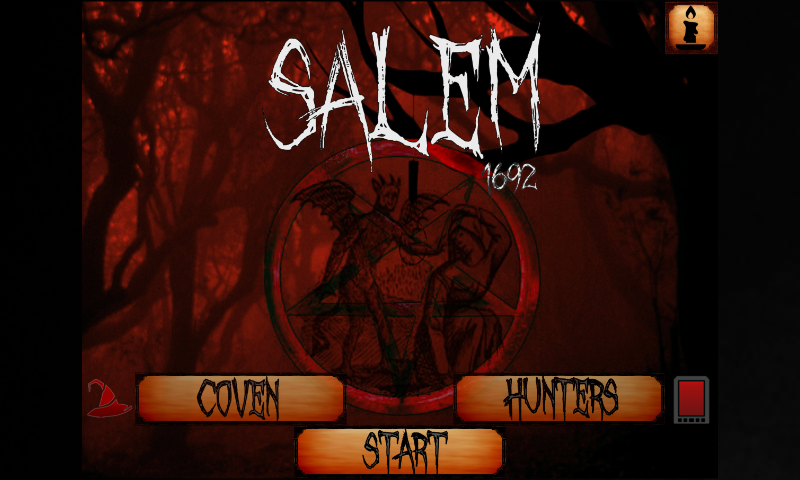 Or take the reigns of the Witch Hunter and try to stop the Coven from gaining control over Salem Colony.